CAN US ECONOMY SURVIVE DOOMSDAY? : COLD STEEL RAW BUCK NAKED ECONOMICS 101. I hear all of this feel good talk going on about a booming economy. With the powers that be that may be true, but, the general public is not buying any of it. That is because more and more on a daily basis they are experiencing the dwindling buying power of the dollar. I believe there are too many variables involved in an economy to rely too much on intelligence. I believe time and history have produced a reliable tried and true ideology that is fail proof. That ideology is: "Let the free market place work with unhindered competition." Now, if anybody thinks we have a completely free market place, I have some swamp land I'll sell you or give you a discount on the Brooklyn bridge. Number one is you can't have a completely free market place with government heavily involved in it. The governments job is supposed to collect taxes and protect the country from internal and external enemies, period. That is because governments operates on power not supply and demand. The more government involvement the less of a free market place you will have. It may not seem like it, but, if the government had stayed with only providing community kitchen and community shelters, then the poor would be forced to depend on the extended family, the church, and social organizations. That gives the poor the power with their numbers to dictate prices down to their level and they would be far better off today. But, as it is this global economy is going to collapse, it's just a matter of time before we lose it all with the course we are on. Sure, in the beginning the government helping the poor seemed like a good thing and still does to most the poor and general public. 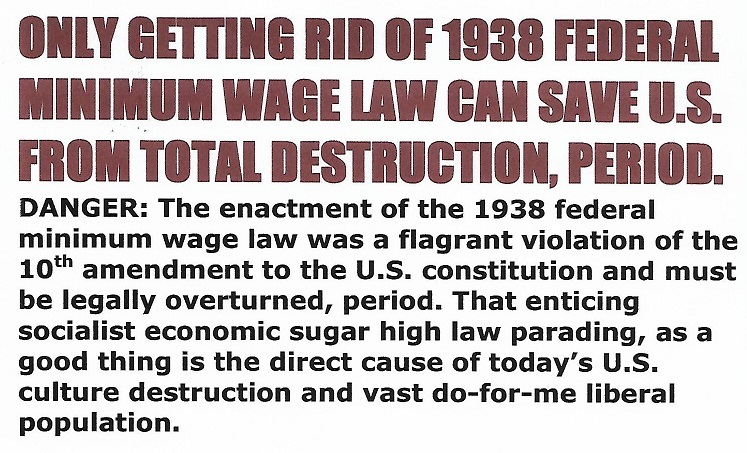 However, government helping the poor and filling the role of sugar-daddy provider have destroyed our free marketplace. It has destroyed our culture. It have destroyed our family and moral values. It has destroyed our proud independent frontier like spirit. It has destroyed our manufacturing base. It has destroyed our ability to barter to survive if the economy collapses. In terms of raw survival we are just about done. Still, we have the liberal media and the powers that be fiddling when we should be dismantling this welfare state to save our culture and ability to survive. I believe an economy is first about power and incentive. In a free country that allows unhindered incentive and competition the economy can produce far more than enough food to feed all of its citizens. Whereas, in countries that are not free and chokes off incentives they can't even feed their own people. Why be productive and work extra hard when someone doing far less receives the same reward. That is the reason socialism will never work and will always eventually make everyone equally poor except a privileged few. Sure, our U.S. economy is booming, but the general public sees the hand writing on the wall and instinctively knows we are on a course toward disaster. Everyday they see the illegal immigration invasion, the destruction of our culture, the destruction of the traditional nuclear family, the destruction of our family and moral values, the loss of our jobs and manufacturing base, and on and on. They know with no official national language we are well on our way to becoming Balkanized. I'll guarantee you you will never do official business in France other than using the French language. In perspective terms this big government welfare state economy is not out there operating all alone it is tied to human nature and is the cause of every social and moral ill we have today. We cannot survive very much longer as a free country or if at all, unless this big government welfare state grip on the neck of the economy is broken. There is very little lasting enjoyment of love or anything without discipline. The reason why a free market place with competition is so superior and successful is because of its built in discipline. If you take away hunger and a survival need you take away the discipline to motivate a great many people, our welfare state has done that. I hear some pundits in denial claiming that American will do tough farm work if you get the wages up to a living wage. Bull, at twenty dollars an hour most wouldn't stay very long doing hard tough work out in the scorching heat because with this welfare state there is no real survival price to pay for lack of motivation. God knows I've tried to view the situation a thousand different ways. But, I can't see no way for the United States or western Europe to survive much longer as free countries unless their welfare states are dismantled. History is my guide and the future will prove me right as by the fall of the Roman Empire. However, we are far worse off than the Romans because they didn't have a welfare state. In their case it was mostly the rich and well to do that were morally bankrupt. Whereas, our welfare state has made even the poorest of the poor morally bankrupt with masses upon masses with very little sense of self-responsibility or self-accountability. The African American community has been devastated. We have almost a quarter of grand mothers having to raise their grand kids. We have approaching eighty percent of all black babies being born out of wedlock. With just twelve percent of the population black women make up nearly sixty percent of new AID cases. With just twelve percent of the population black males make up eighty percent of some prison populations. Still, we have more churches than we've ever had, it seems like there is a church on almost every corner. Still, all I hear is feel good talk, talk, talk, and no answers with any bite or teeth. "Faith without action is wasted. Those who live and depend on hope die fasting. God helps those who first helps themselves." The African American community is the canary in the mine and I believe this even if no one else does, that the choices are, dismantle the welfare state and survive or keep embracing it and go down with it. The fact is there is very little of what it takes for a nation to survive through hard times left anyway. The culture is shot all to hell. Our family and moral values are what come out of Hollywood and a strong masculinity nuclear family is seen as a buck tooth red headed step child. And, as for a last hope to survive through bartering, very few people know how to plant let alone have a garden. Even if you have a garden it will take ten shotguns to protect it when hard times hit. All of these uninformed people that can't wait to "high tail it" out Iraq don't know or don't care that sixty percent of our ability to eat is based on keeping that whole region secure. Almost everything that keeps us alive is trucked long distance and those trucks don't run on air, they run on fuel made from oil. 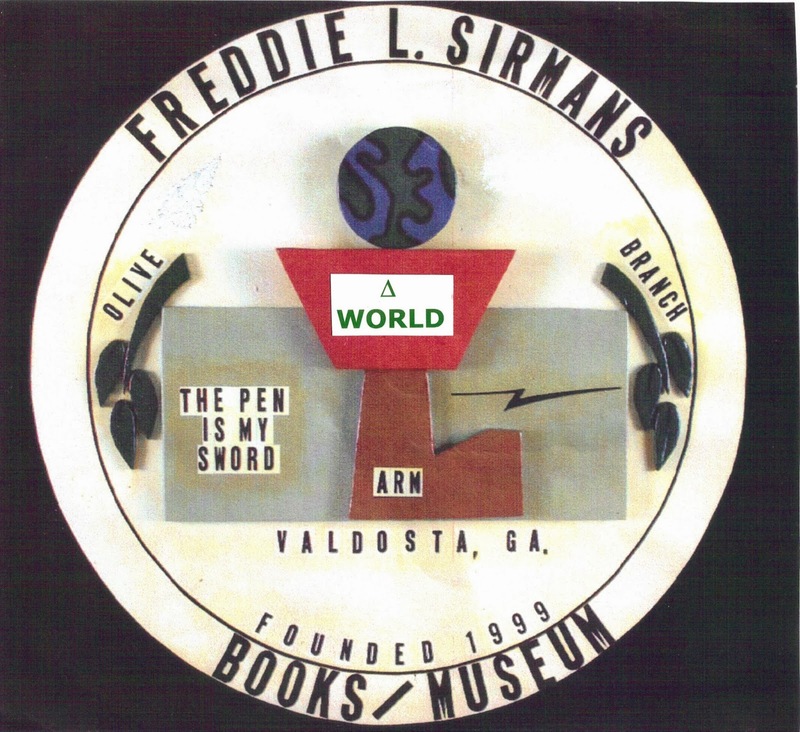 I, Freddie L. Sirmans invite everyone to visit my blog.